Both these swaps use the Doily die. I do own this die but have not played with it much. It works best for me on Whisper White cardstock and DSP. Those little pieces get everywhere, kinda like the backs of the dimensionals. Shocking where those show up! Look how pretty,two more swaps to share. Gotta love that Framelit Label Collection! Hope everyone had a fun St. Patty's Day celebration. Here is the little gift I made for a few neighbors. I wanted to give them a little something when we went to dinner on Saturday night. I love pink and green together. 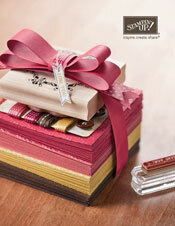 The Fancy Favor die is a favorite and so easy when you need something quick. The heart is from the new Fashionable Hearts embosslit. Here are two gorgeous swaps I received at my upline's meeting. The first one is designed by Pauline. 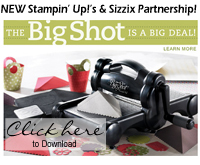 I love all the polka-dots she used...the Perfect Polka Dots embossing folder and the bottom is the Confetti stamp set. The second card was designed by Pamela. Love the Calypso Coral and Pool Party together. She used the Textured Impressions Embossing folders on the top and bottom, the Labels framelit and the oval embossing folder for the main accent. WOW! The Simply Scored Tool (#122334 located in the Occasions Mini) has been out for awhile now and I love using it to score all my projects. The base fits paper or card stock up to 12" x 12" and features score tracks every 1/8". Features two easy-to-read rulers (with inch markings down to 1/8") along top and left side for perfect scoring. What could be better? Now you can score diagonally so you can easily and quickly create distinctive envelopes, boxes, and more. This new plate sits on top of the Simply Scored base, has etched grooves every 1/8" AND instructions are included for creating common envelope sizes. Check out the video to learn more. Look for project postings that use this cool product. My favorite stamp set in SAB is Everyday Elegance, the focal point below. I like the way the Soft Suede and Peach Parfait look together. Check out the cute butterfly brad, also a SAB freebie. This card using Kindness Matters and the swirly is from Style Beautiful. The card is embossed with Finial Press. I like the way all the white looks together, don't you?